This jacket is amazing. I could see it pairing well with most of my dresses. And everything else in my closet. A skirt that's also not-so-secretly pants? So ridiculous, I can't help but love it. Of course a striped sweater caught my eye. 80% of my shirts have dolman sleeves. Red? Check. Stripes? Check. Asymmetrical? Check. This dress? Check. I'm on a jumpsuit kick right now. The colors in this one are on point. I want to do yoga in this. It looks so freaking comfortable! Want a jumpsuit that's both casual and fancy? I want a spring wedding to go to so I can wear it there. 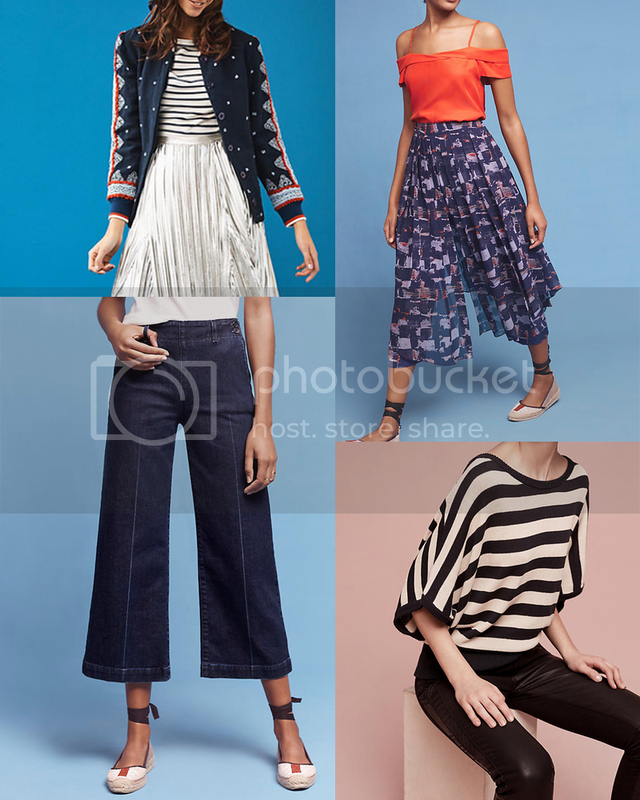 Other honorable mentions: short-alls that remind me of an apron, a gingham dress, another striped sweater, the same dress as above but more colorful, and an embroidered peplum top. Now that I've thoroughly wasted three hours of my day (and probably yours too), I'm going to attempt to go do something much more productive. You should probably do the same. Ooh I am liking these! I've never worn a jumpsuit, but they look so comfy!